Abruzzo Bodziak Architects (ABA) is an internationally recognized New York-based practice with experience ranging from civic and cultural projects to homes and exhibitions.Through both projects and speculative investigations, ABA creates experiences that are rooted in place and time. Their work is defined by an innovative approach to contextuality, a relentless focus on detail, and a strong conceptual viewpoint. Established by Emily Abruzzo and Gerald Bodziak, ABA has received numerous recognitions, including the Architectural League Prize for Young Architects and Designers, AIA New Practices New York, Architectural Record’s Design Vanguard, and Curbed’s Groundbreakers Award. A proponent of civic engagement, the office is included in New York City Department of Design and Construction’s Design Excellence Program. Pentagram is a design firm and a supporter of Storefront. Since 2012, Pentagram has collaborated with Storefront on many projects, ranging from identity design to publications and exhibition. 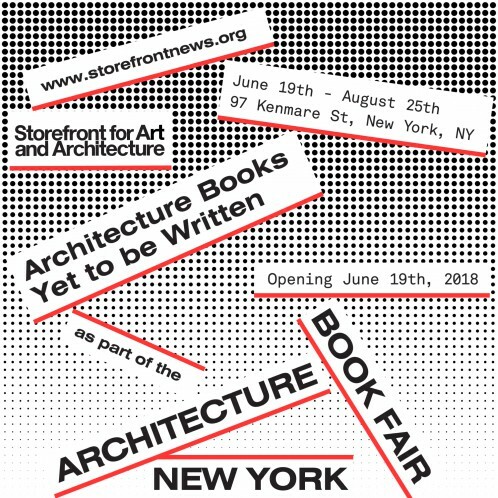 Some of these include OfficeUS, the Manifesto Series, Closed Worlds, and the New York Architecture Book Fair. 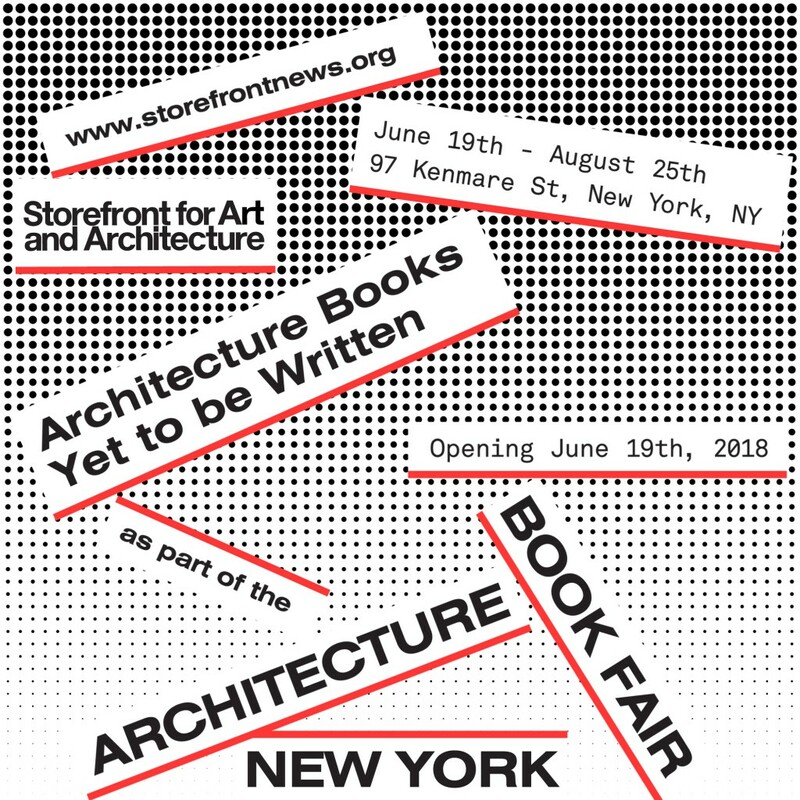 Programming partners for the New York Architecture Book Fair include The Cooper Union, the Graduate School of Architecture, Planning, and Preservation at Columbia University, e-flux Architecture, and the New York Public Library.